By simply inviting friends to try the game, you can get a free skin shard. 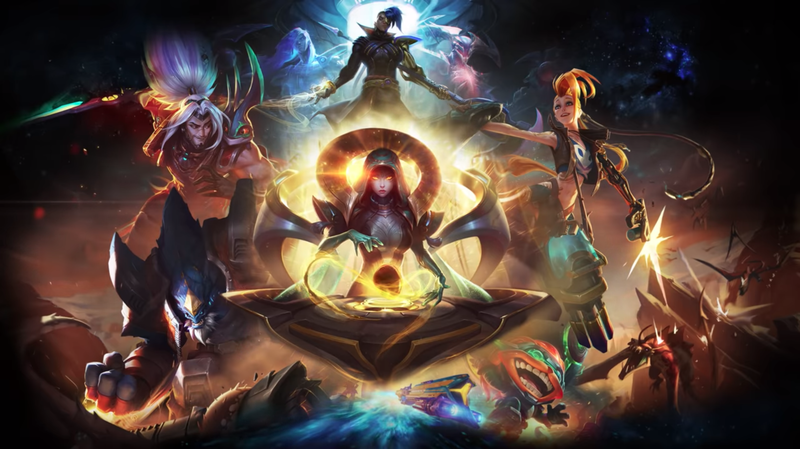 The League of Legends Odyssey Event has officially started, bringing with it a badass trailer, a bevy of awesome skins, and a cool new game mode. And the best part? Just by playing with a friend, you can earn a random Odyssey skin shard for free. 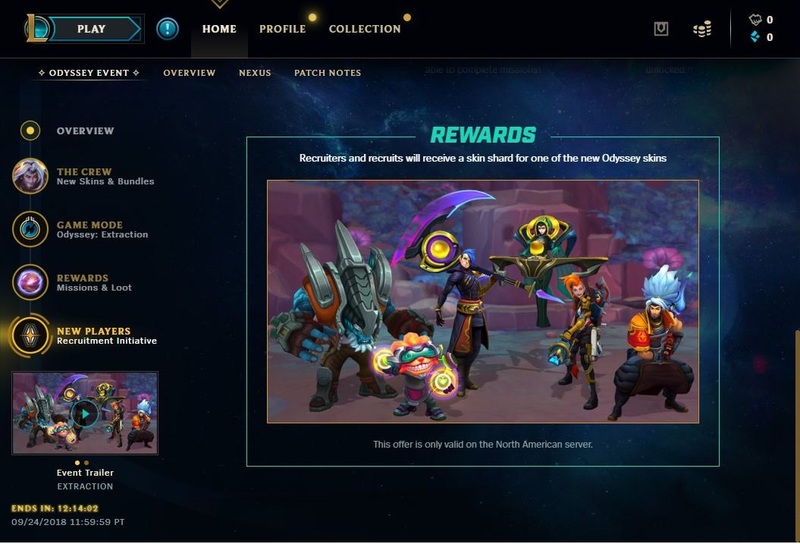 On the home page of the client, players will see a link to “Call for Backup.” They can send this link to friends who are either new to the game, or have not accessed their League account for the past two months. Using or creating smurf accounts works as well. 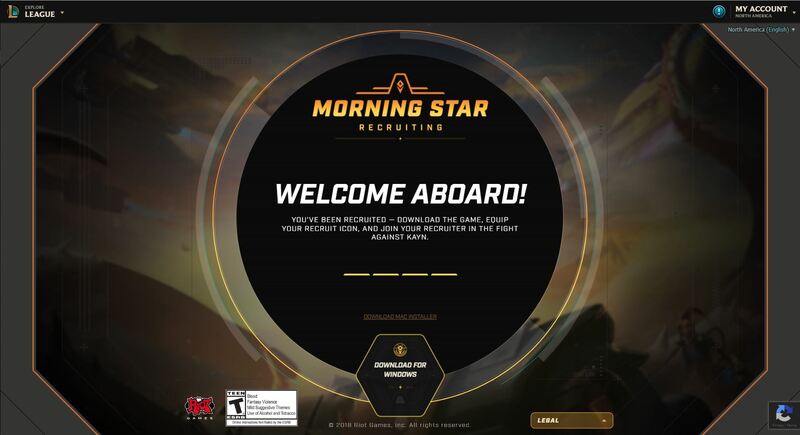 The link sends the friend to a recruitment page that encourages them to get in the game. 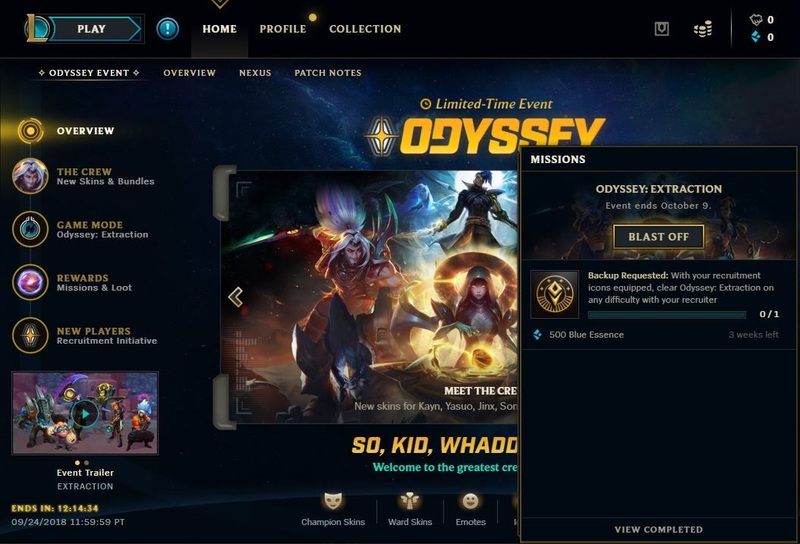 Once there, both players need to take part in the recruitment missions for the Odyssey event to obtain the recruit Summoner Icon. Both players need to equip the icon and then load into a game of Extraction, the brand-new game mode built for the Odyssey event. Once done, both players are rewarded with a free Odyssey skin shard, according to multiple comments on Reddit. The trick only seems to work in North America for now. It remains to be seen whether other regions will be let in on the action. But if you are in NA, load up the Odyssey with a new friend for some awesome gameplay and a free skin shard.